Singaporeans not only expect to retire a bit later than others in the region but they also believe they will still work in some form of employment after they step down from their main job. The findings from a survey show that work is a deeply ingrained habit here. They show that Singaporeans anticipate retiring at 61 while the average age from all respondents in China, Hong Kong, Indonesia, Japan, Malaysia, Taiwan, the Philippines and Singapore is 60. Respondents here also expect to take on some form of work for another nine years till they hit 70 to supplement their savings, more than their regional counterparts. The Asian average is to work six more years till 66. The statutory retirement age here is 62 but employers are required to re-hire those who are eligible when they turn 62, up to 65. Financial services group Manulife noted in a statement yesterday that the Singaporean respondents' expectations in its survey may be unrealistic. About 70 per cent expect to work in retirement, the survey found, a level much higher than the actual participation rate of 40 per cent for those between 65 and 69 years old. The employment figure falls to less than 15 per cent for those in their 70s. 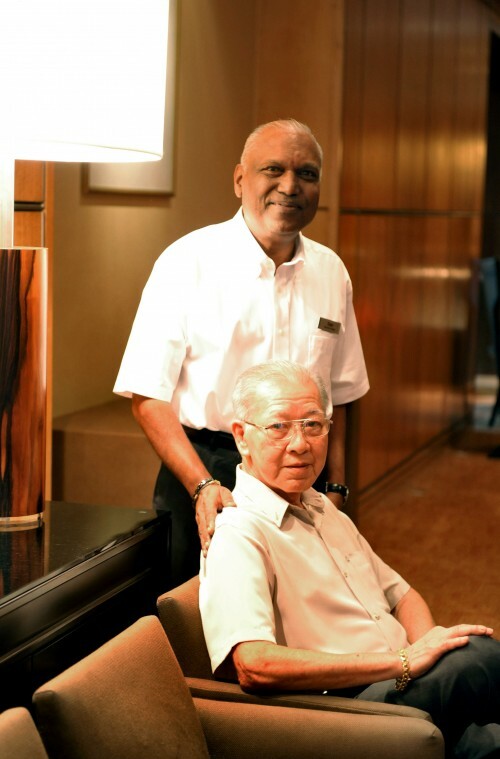 Manulife Singapore chief executive Annette King said: "Research reveals that elderly labour employment levels are generally well below the level the survey findings point to. "This may be because retirees are more selective about the jobs they take, looking for positions that offer flexible work schedules, or ones that are in line with their personal interests and that are less physically demanding. "Or they may have elderly-related health issues that prevent them from working." Singaporeans expect their savings and income to last till they are 80, although the average Singaporean now lives to 84 years old. Cash is king and Singaporeans allocate 39 per cent of their portfolios, excluding property, to it. They hold on to an average 33 months of personal income in cash, higher than the regional average of 21 months. Ms Jill Smith, chief investment officer at Manulife Asset Management Singapore, said: "These savings generate little or no return - a portion would be better allocated to more productive investments such as fixed income or equity portfolios." While Singaporeans prefer cash, other favoured investment alternatives are blue-chip stocks or property. About 4,000 respondents were polled altogether in the survey done last year.